I thought I would have a stab at a different style of sketch. 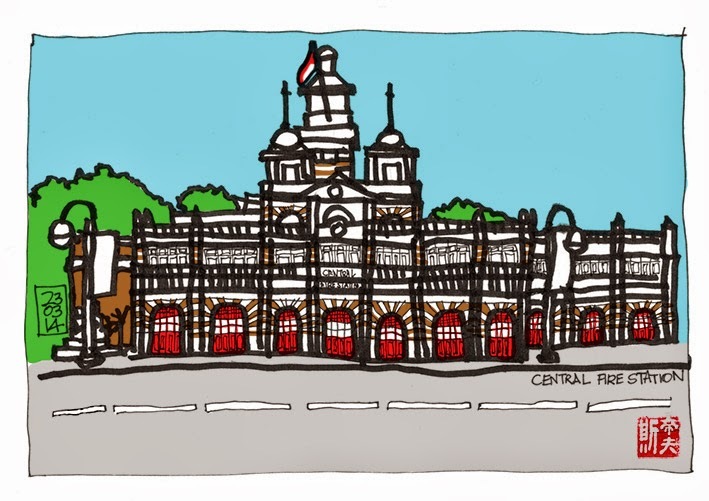 I sat dodging taxis on a narrow grass verge in front of the 'Funan Absolutely Useless Digital Mall' with a big fat Sharpie pen for a doodle of the Central Fire Station which took considerably less time than my usual efforts. The colour was added in Photoshop.